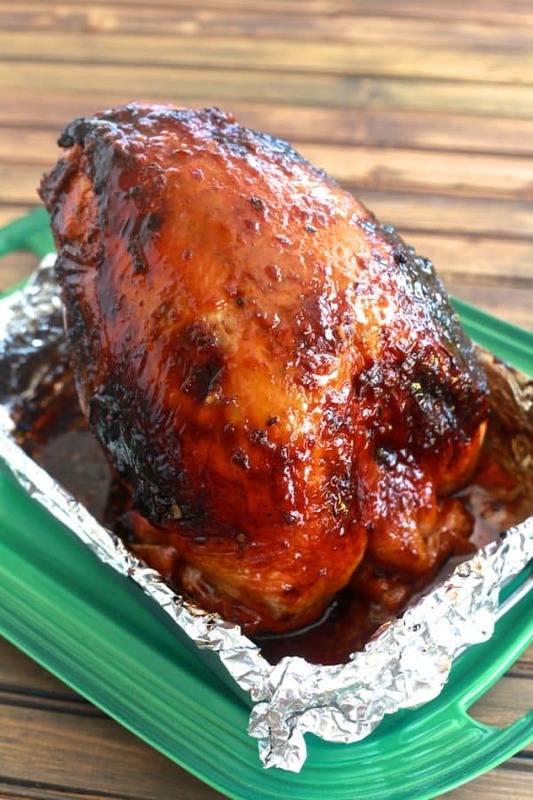 Apple Cider Glazed Turkey Breast | Thanksgiving is on approach so, let’s talk turkey…breast. (See what I did there?) Turkey is the center of almost every Thanksgiving table. But, not every table needs a whole turkey. We are a family of two and three dogs. Most years we spend Thanksgiving with friends but, some years we take it easy and spend a relaxing Thanksgiving at home. Needless say during those Thanksgivings we don’t need a whole turkey. This is when a turkey breast is a perfect centerpiece to our intimate Thanksgiving dinner. 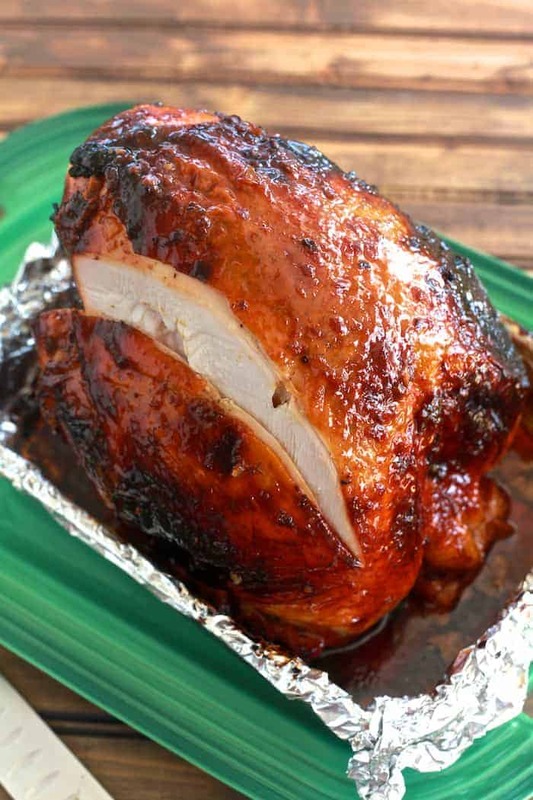 Turkey breast is a great way to feed a small family or group of guest this holiday season. I love a well-seasoned turkey breast and this one is full of flavor and has a touch of sweet from the spiced apple cider glaze. 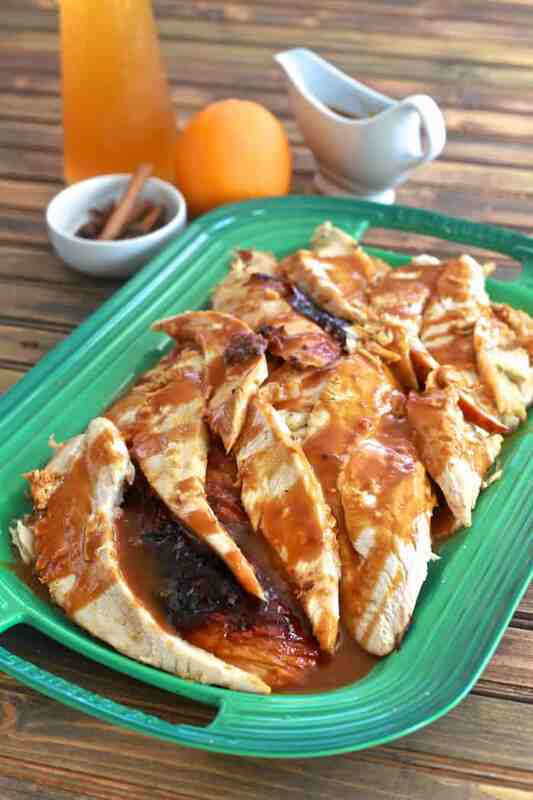 Apple cider glazed turkey breast is so full of flavor and it makes for great leftovers too. We use the leftovers in turkey sandwiches for lunch or turkey hash for breakfast. I really love a great turkey sandwich made with Thanksgiving leftovers. I put all of the leftovers in my sandwich, turkey, cranberry, gravy, and stuffing. It’s heaven between two slices of bread. I rub the turkey breast with a mixture of butter, onion, garlic, and sage and allowed it to marinate overnight. This gave the turkey breast time to absorb and develop flavor. For the glaze, I reduce the apple cider to a syrup, added a bit of honey, and brush it on the turkey breast giving it a beautiful color and shine. Of course, no turkey should be served without a savory gravy and this turkey breast gives you more than enough drippings to make an amazing savory sweet gravy. 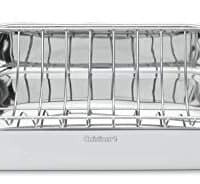 It will be a perfect fit at your intimate Thanksgiving. The turkey breast finished tender, juicy, and beautifully golden. It will be a real show stopper on your Thanksgiving table. But, here is the great news, you can have this turkey breast anytime. Turkey breast is so much more manageable than a whole turkey and cooks in half the time. Making it a perfect addition to your weekend meal prep. Think of all the fall them turkey dinners! Gently separate the skin from the flesh of the turkey breast to season under the skin. Just seasoning over the skin doesn’t allow it to penetrate the meat. Don’t skimp on marinating time. Giving it to marinate overnight allows the flavor to develop. Do not leave the cider unsupervised for long if at all. The moment you turn your back it will over reduce and burn. Text the cider reduction by dipping a spoon in it and swiping the back of it with your finger. When the swipe begins to hold your reduction is ready. It will thicken as it cools. Give the turkey breast time to rest, a minimum of 15 minutes. This gives the bubbling juices at that the surface of the breast to calm down and spread back out into the breast. Slicing too soon will cause it to juice out and dry. If you want a whole turkey to try my pavochon which is basically turkey that taste like pork, seriously. If you’re looking for some more Thanksgiving or holiday dishes try my roasted sweet potato salad, pumpkin flan, or savory bread pudding. Sage and butter rubbed turkey breast with spiced apple cider glaze. Perfect for small gatherings during the holiday season. Place the turkey breast, breast side up, on a rack in a roasting pan. 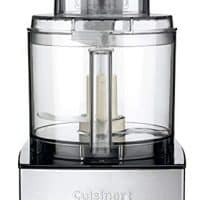 In a food processor, combine the butter, sage, salt, pepper, onion, and garlic. Process to make a paste. Gently separate the skin from the meat with your fingers being careful not to tear the skin. Spread half of the paste under the skin and directly on the meat. Spread the remaining paste evenly on the skin. Cover and let refrigerate overnight to marinade. In a sauce pan combine 1 1/2 cups spiced apple cider with honey. Bring to a boil and let reduce to 1/2 cup. When it cools it will become a syrup. Pour 1/2 cup spiced apple cider into the bottom of the roasting pan. 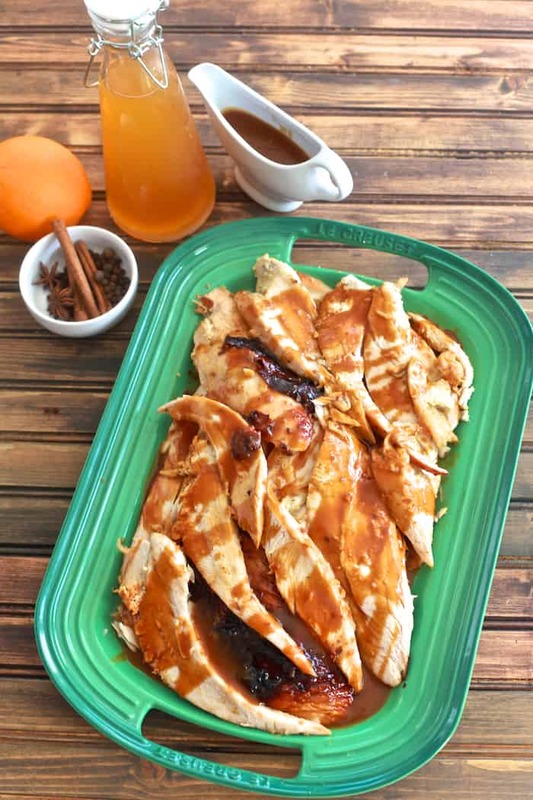 Brush the turkey breast with spiced apple cider glaze. Roast the turkey for 1.5 to 2 hours, turning half-way and basting again with glaze, until the skin is golden brown and an instant-read thermometer registers 165 degrees F when inserted into the thickest and meatiest areas of the breast. If the skin is over-browning, tent with aluminum foil. When the turkey is done, transfer to a platter and cover with foil and allow it to rest at room temperature for 15 - 20 minutes. While the turkey is resting strain the drippings into a drippings separator. a sauce pan over medium heat. Carefully pour out the excess grease into a sauce pan. Add flour and whisk together. 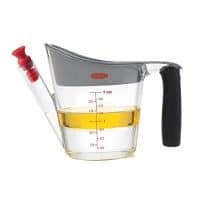 Return to the burner and whisk in vinegar and milk, add apple cider or chicken stock bringing to a simmer with each addition, until you reach desired consistency. Gently separate the skin from the flesh of the turkey breast to season under the skin. Just seasoning over the skin doesn't allow it to penetrate the meat. Don't skimp on marinating time. Giving it to marinate overnight allows the flavor to develop. What is spiced apple cider? I just bought spiced apple cider in Target yesterday – their brand in the juice aisle, on sale for $2! That is a gorgeous turkey. YUM! OMg the color on that turkey skin is to die for! Your recipe has me salivating. That GLAZE!!! Oh I want that glaze! 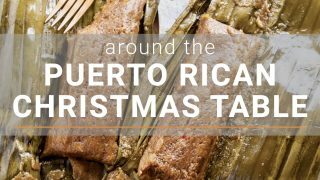 I’m pinning and will plan on making this for sure during the holidays! Thanks so much! That is one delicious turkey! Love all that gravy you poured on top…yum! The turkey looks amazing, the cause is even more amazing! So great you are helping out in driving awareness to it! Is it wrong I wanted to lick the screen? Wait, don’t tell me. That looks ah-mazing. Oh my gosh wow. I was going to make a turkey roulade for friendsgiving but I may need to change that now after seeing this. Looks incredible! Such a great cause…and I love that you made turkey breast 😉 The glaze looks killer! A beautiful cause and a beautiful glaze on that turkey! Love the apple cider addition! That turkey is unbelievably gorgeous! And it looks as though you achieved the perfect balance between crispy skin and tender (not dry!) meat. Holy glaze, Batman! I want to taste this so badly, it looks beyond delicious. I always make at least one extra turkey breast on Thanksgiving, and I’m pretty sure this is the recipe that’s happening this year.